Women employees in many companies are now assigned a mentor who acts as friend, philosopher and guide. 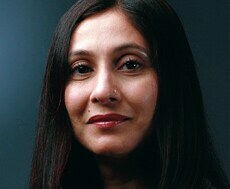 Six years ago, Ritu Mehra, 34, felt she was standing at the crossroads of her career . She worked on the technical side at IT company Pitney Bowes, India, and was well rated by her peers and superiors, but she was not sure whether she should continue in the same department, or switch to the managerial side, where chances of professional advancement were higher. "It was then that a senior director of the company reached out to me," she says. She made Mehra realise that it was not enough to aspire to a managerial position. The right kind of qualifications and knowledge to handle such a job were also essential. "She suggested I pursue some management certification courses," Mehra adds. Once Mehra had done so, the director ensured seniors in the company knew about it, with the result that Mehra was included soon after in a global project the company was engaged in. The director helped Mehra out informally at her own initiative, but increasingly companies are now assigning mentors - senior company staff, who are also usually women - to promising young female employees to guide them correctly on their career paths. Such mentors, who perform this role in addition to their normal duties, are never openly identified - only the company's human resource department and the people being mentored know. Their advice often is by no means extraordinary, but for the one being mentored, it can sometimes be a life changer. Take the case of Malika Kapoor, 32, who in 2010, was promoted by her company, IT major Wipro, from deputy manager to manager. She should have been thrilled, but she was not. "My job profile as deputy manager required me to deal with a team, which I was good at and enjoyed," she says. "In my new role I discovered, my responsibilities would be such that I would be confined to a single location and working with just one or two people." With Wipro having a mentoring system in place, she turned to her assigned mentor. "I told her I felt limited," she says. No magic formula was offered. Indeed, Kapoor ultimately took up her new position. But the mentor's simple advice helped her immensely for years later. "She told me to increase my learning and exposure and intensify my engagement with the office," says Kapoor. Like Wipro, many companies have realised that women employees, especially when young, face problems and dilemmas their male counterparts do not. Some women, unable to cope, even give up working. To prevent this, and thereby retain the gender diversity of their workforce they have striven to achieve, companies have instituted this system of assigning mentors. Women are encouraged to approach their mentors regularly for guidance, which can relate not only to purely professional matters but also personal ones that impinge upon their professional performance. A classic dilemma many young women face, for instance, is that of motherhood versus career. Having a baby remains the biggest cause of career derailment for women, many of whom stop working to take care of the newborn and find it difficult to return to the workforce when they are ready to do so some years later. The mentor is particularly useful here in helping analyse the pros and cons involved, frequently drawing from her own experience. Kapoor herself sought her mentor's guidance when she wanted to have a second child. Indeed, she is just back from maternity leave and is now part of the talent transformation and training team at Wipro. Even the women who doggedly continue working cannot give their jobs the single-minded attention their male counterparts can. "Many women are excellent achievers, but often personal concerns tend to overwhelm them," says Sunita Cherian, Vice President, HR, and Head of Gender Diversity, Wipro. "They need to rush home for the sake of a waiting child or something similar." Here too an assigned mentor is a boon. "Providing facilities such as a day care centre close to the workplace or extended maternity leave certainly helps companies retain women," says Ritu Mehrotra, Vice President, HR and Talent Management at logistics solutions company Bristlecone. "But mentoring is also a critical need that reinforces career ambitions." Despite the proliferation of women at the workplace in the last few decades, the fact remains that their representation at senior levels is abysmally low. 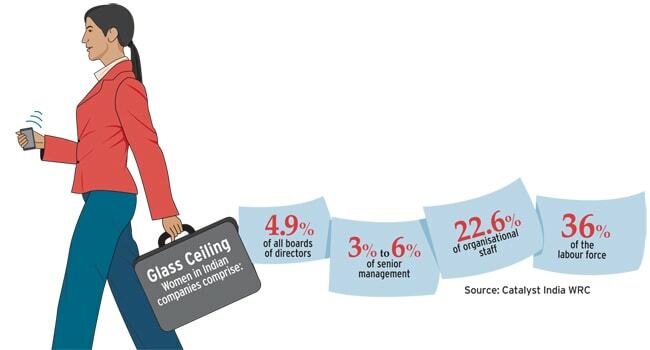 Studies have shown that women in senior positions in India are between three and six per cent, while in board positions they are below five per cent. "Organisations start with the best of intentions when they are recruiting at the entry level," says Shachi Irde, Executive Director, Catalyst India WRC, a global research and advisory body which works with member companies to enable them to expand opportunities for women. While at the entry level, the number of men and women in many organisations is much the same, the ratio begins to change at middle level and gets completely skewed in favour of men at senior levels. "Companies need to focus on tracking the effectiveness of their programmes which try to retain women," says Irde. She even suggests senior managers be held accountable for fostering gender diversity in their teams. Mentoring also helps because many women do not, in the normal course, make an issue of the problems they are facing, and also lag behind their male counterparts at networking. "This does not mean they lack either ability or the ambition to excel," says Ruchi Bhalla, Director, HR at Pitney Bowes, India. Having a mentor who articulates their problems - as well as their strengths - in the right quarters can make a big difference. 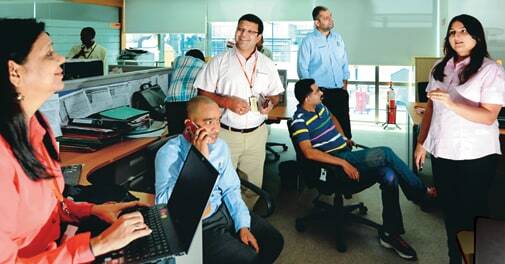 Infosys is another IT company with a mentoring programme for women employees in place. "It was launched in 2009 and focuses on instilling professional effectiveness, goal clarity and thereby career development," says Srikantan Moorthy, HR Group Head at Infosys. "Mentors work towards fine tuning the women's professional aspirations by sharing knowledge, perspectives and work experiences with them." Citibank India has a Citi Women's Leadership Develo-pment Program where it pairs high performing women with a senior executive to provide career direction and networking opportunities. "There are also different kinds of coaching for women at different points in their careers and lives," says Anuranjita Kumar, Country HR Officer, Citi India. But mentoring too has its challenges. "Due to a dearth of women at the top, the number of mentors available does not match demand," says Nina Chatrath, Partner, Heidrick and Struggles, an executive search firm. What does a company gain by promoting gender diversity? Plenty. A series of studies by Catalyst has shown that companies with more women in senior positions, on average, outperform those with few women. Mentoring is thus not just a progressive stance for a company to take, it also makes sound business sense.